The choices I had made led to the moment when fate took over. I would learn a lesson I wasn’t prepared for. And Death would be my willing teacher. Five years ago, Abbey Chandler cheated Death. She survived a horrific car accident, but her “lucky” break came at the expense of her mother’s life and changed everything. After she crossed paths with Death—by taking the hand of an ethereal boy made of clouds and sky—she would never be normal again. Now she’s the target of Death’s ravens and an innocent boy’s life is on the line. When Nate Holden—Abbey’s secret crush—starts to climb Alaska’s Denali, the Angel of Death stalks him because of her. This one didn’t quite hit the mark for me. 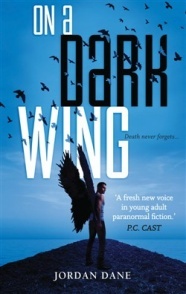 On A Dark Wing has an interesting premise, but the turn it took wasn’t quite what I was expecting. While I still enjoyed it, with five points of view, it was harder to form a connection or maintain the mystery. 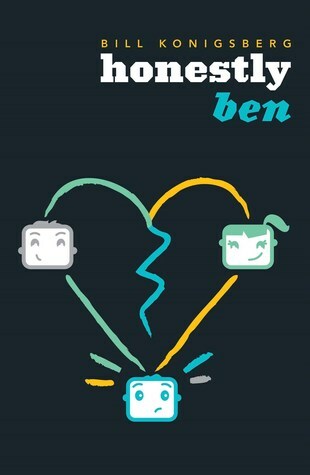 It ended up leaving the reader with more information than the protagonist. Even so, I appreciated the way the romance was handled. The character interactions seemed genuine, playing more on the non-paranormal aspects rather than the winged boy on the cover. The multiple POVs come in third person, leaving only the main character, Abbey, in first. This gave her narrative a feeling of dominance amongst the others, which was probably the point. They’re useful in keeping the tension up for the three plots that are going on, but five different headspaces seems a little much to me. They’re used moreso throughout the first hundred pages of the book setting up the mountain climbing plot. Personally, this dragged on too long for my tastes, but I see the purpose behind getting the reader to know Nate, Abbey’s long-time unrequited crush. High school plays very little part, only showing up in the beginning, but there long enough to set up some life ruining problems for the main characters. I actually enjoyed this as we got to see the workings of the friendship between Abbey and her best friend, Tanner. Despite an accident prior to the book leaving him in a wheelchair, he was considerably more well-adjusted than some of the other people at their school. I liked that about him, and generally the way his plot was handled, making him more than a token character. On the plus side, I did like the creepy ravens that kept appearing in random places to haunt Abbey. They were never really explained clearly, but it wasn’t a big deal. The final quarter, like most books, contained most of the tension—the mountain drama kept that going throughout, but things picked up towards the end. However, I found myself enjoying the quirky antics that Abbey and Tanner got up to a lot more than the other commotion. I’d be okay with this as a standalone as it managed to wrap just about everything up, but I wouldn’t be opposed to coming back for more. Those who enjoy multiple POVs, romance and life-threatening tension. Excellent review, Brett! Looks like you and I both share similar thoughts on the novel! YES! I so get this. I know if I was in the same place, well, I’d probably be clueless, too. But when I’m reading a book, I don’t want to feel smarter than the protagonist, even if I’m only that cos I’m seeing the bigger picture… ugh… know what I mean?